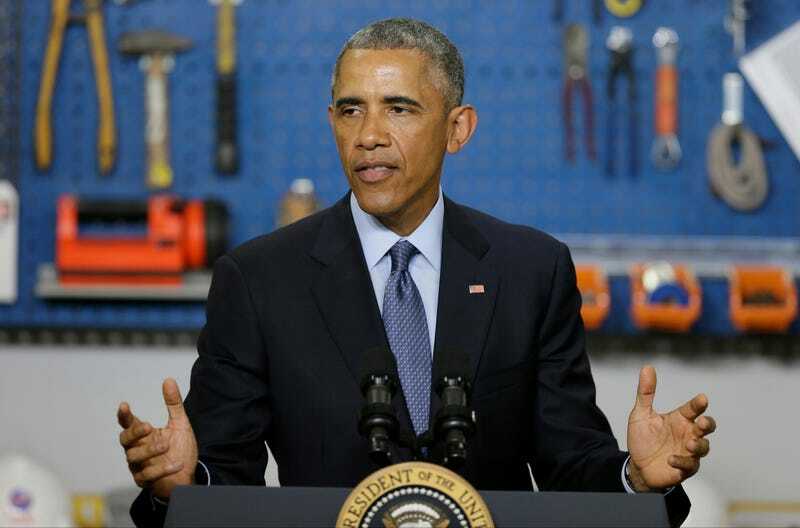 “Today, high speed broadband is not a luxury, it’s a necessity,” President Obama said earlier this year. Yet home internet access is still an extravagance out of reach for many Americans. Today, the White House announced a program designed to change that. Less than half of the poorest households in the US have home internet access, according to a report released today from the White House Council of Economic Advisers. It’s a grim statistic, which is why there’s a new program launching to start closing the access gap. The program will involve city officials; eight Internet providers, like Cox Communications; at least one university; and even Best Buy, which will offer computer training to residents in some cities. As part of the initiative, Google is offering free home internet access to public housing residents in its twelve Google Fiber markets. In places that are part of the pilot program that don’t have Google Fiber yet, like New Orleans, there’s heavily discounted broadband hookups available for around $10 a month. It’s a first step towards closing the wide gap between the kind of internet access that middle-to-upper income Americans enjoy and the dearth of access amongst low-income America.